Danielle Bell, NOLA.com | Times-Picayune, December 13, 2012 9:30 p.m.
De La Salle and Bonnabel are quite familier foes, having already already met twice this season, with Bonnabel winning both times. So when De La Salle entered the gym Thursday 30 minutes late, De La Salle Coach Justin Martineau felt his team might be flustered and ill-prepared to pull out a victory. The Cavaliers, led by junior Rene Causeys 23 points, showed no ill-effects from their late arrival and pulled out a 50-38 victory. The first half was a hard fought defensive effort by both teams. The Bruins (3-3) defense caused the Cavaliers (6-5) to commit six of their eight first-half turnovers in the first quarter. But the Bruins didn’t fare much better against the Cavaliers’ committing six first half turnovers of their own. Both teams battled hard inside in the in the first half, with the Bruins outrebounding the Cavaliers 12 to 11. The Bruins’ Andriel Moss had five rebounds and all of her three blocked shots in the first half, and finished with four points and eight rebounds. Bonnabel had a 22-19 lead at the half, but the Cavaliers came out after intermission ready play. Causey hit back-to-back 3-pointers, sparking an 8-0 run, which gave them the lead for the first time at 25-22. The Bruins shot just 1-of-13 from the field in third quarter, and with the Cavaliers shooting going 5-of-6 from the field and 50 percent from the foul line, they had a comfortable lead entering the final period. Bonnabel fought hard to comeback in the fourth, shooting 5-of-9 from the field, but it could never quite close the gap. Meanwhile, the Cavaliers shot 9-of-11. Emily Bowman scored 8 points for the Cavaliers and Rayanda Davis added eight. 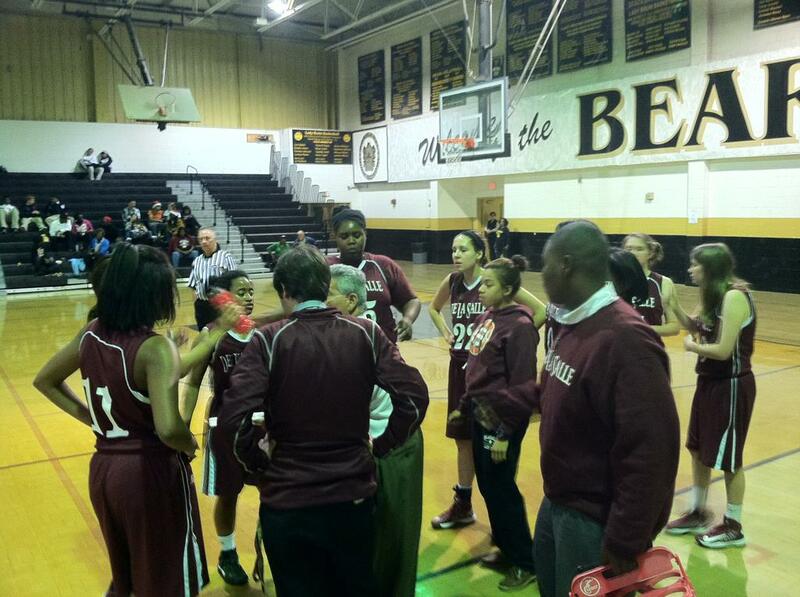 Ta’Mecha Perrilloux scored 12 points for the Bruins and Shameka Williams added four.